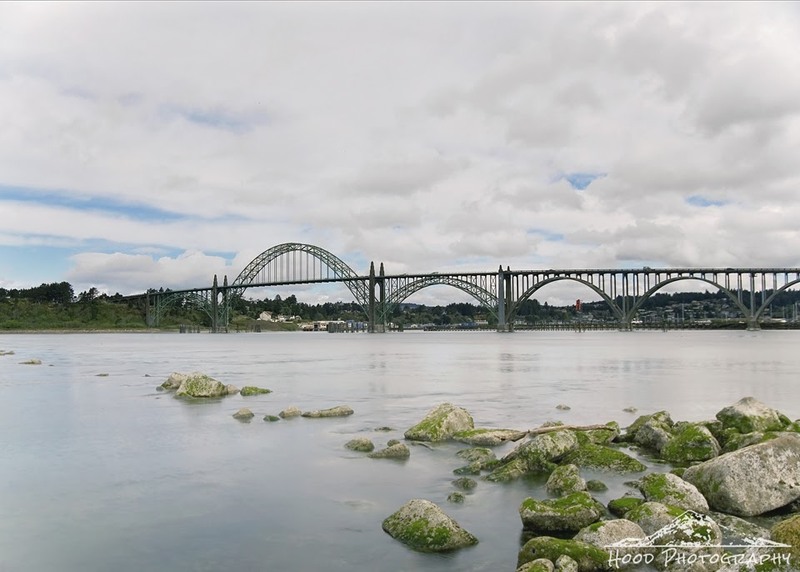 The Yaquina Bay Bridge in Newport, Oregon is one of the most recognizable spans of Highway 101. I took this shot from the slightly less photographed southwestern angle, vs. from downtown Newport, which can be seen in the distance on the other side of the bay. Thanks for stopping by http://image-in-ing.blogspot.com/2015/04/cat-on-ladder.html to share! What a beautiful bridge, I have always been intrigued with the architecture and design of all bridges!! Very lovely photo. Love it. The bridge has a lovely span design - looking quite grand across the water.